We all know that batteries are what supplies power to cars, but for a recreational vehicle, it’s not simply an accessory used to start up the engine. For an RV, the battery system is what brings the vehicle to life, supplying power to almost every accessory and appliance inside the caravan. The death of the battery is also the death of the vehicle (at least until you purchase a replacement battery), which is why care and maintenance of the battery system are very crucial. 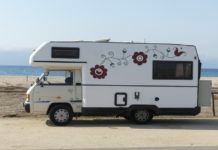 RV battery life expectancy varies from situation to situation, but if you know how to care for your vehicle’s power source, you can expect it to last for years and years. Let's get started to understand the basic and other important aspects first, before going to the main topic! 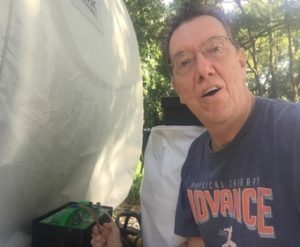 If you are to maintain and prolong the life of your trailer’s batteries, you need to possess some basic knowledge and understanding of how batteries work. For RVs, lead-acid batteries are the norm. These guys are composed of multiple cells connected in a series. Each of the cells can produce around 2.1 volts, which means a 12v battery with 6 cells put together in series will be able to generate an output voltage of 12.6v. Keep in mind that batteries do not produce electricity. They act as a power source in some way, but their primary design is for storing electricity and not generating them. Yes, they can produce electricity, but only if they are already holding the charge in the first place. It’s critical that you know which type of battery to use for your RV for certain types of application. If you’re a first-time RV owner, you need to understand that unlike cars, RVs may have more than one battery. Of course, it has to have a starter battery, also known as a chassis battery. Inside this battery, you will find six cells. Each of these cells produces two volts, which gives you 12 volts in total. The plates inside the chassis battery are positioned tightly together and have very thin electrodes. This allows the battery to deliver a powerful jolt of energy in a short time, which is required to start up your vehicle’s engine. At this instance, a significant amount of sulfate collects in the battery. As this repeatedly happens, a buildup can take place, which eventually leads to a dead battery. But thanks to your vehicle’s alternator, this process is delayed, as the alternator works to recharge the starter battery and prevent sulfate buildup. Meanwhile, there’s another battery system used for supplying power to your vehicle itself. This is referred to as ​house batteries. These are composed of deep cycle batteries and are designed to supply a steady amount of current to your RV over an extended period. Unlike your chassis battery, house batteries have thicker plates, which means they are not able to provide high amounts of energy for a short instance. They are also designed for deep discharge and recharge cycles, which means unlike chassis batteries, you can have them discharged to a very low level before recharging.  There are two main types of deep cycle batteries that you can use for your RV: Valve Regulated Lead Acid (VRLA) and flooded lead-acid. The latter is the more common type and may come in a maintenance-free version, which means it doesn’t require to be filled with water for maintenance. The VRLA, on the other hand, is composed of electrolyte that’s suspended in either a fiberglass-mat or a gel. If the electrolyte is suspended in fiberglass-mat, the battery type is referred to as AGM or Absorbed Glass Mat. This technology utilizes a fibrous material to separate the plates. One advantage of AGM over the gel type is that it has a charge rate similar to that of a normal lead-acid battery. It also doesn’t lose water and does not leak. It also doesn’t freeze at very low temperatures and is practically maintenance free. The gel type, on the other hand, is leak proof. However, it must be charged at a slow rate and low voltage since it’s prone to overcharging. Batteries are not expected to last forever, but how long your RV’s battery endure largely depends on you. There are so many factors that contribute to how long a battery could last. This includes how they are used, how they are discharged and recharged, how they’re stored, and whether they are properly maintained or not. Of course, batteries are assigned a number of cycles before they completely lose their ability to hold a charge, but that’s quite a huge allowance. If properly taken care of, an RV battery could last several years. If you’re not familiar with the term, a battery cycle refers to one complete process of the battery discharging from 100% down to more than half its capacity and then being recharged back to full status. (You can learn about the ways to repair old batteries). While RV house batteries are designed for deep cycling, you wouldn’t want to cycle them that deep on a regular basis, meaning, you wouldn’t want to wait until they’re nearly drained before recharging them. The batteries would love it more if you charge them as soon as they use up 50% of their charge than let them completely drain before recharging them. ​In short, your RVs battery will last longer if you charge it as often as you can. This means your battery’s life expectancy is totally dependent on how soon you charge it. But then again, this all depends on how you utilize your vehicle. You won’t really have a problem recharging the batteries as soon as possible if you are always camped in a location where an electrical source is readily available. In this scenario, your only concern is maintaining the batteries and making sure they are in top condition at all times. However, if you always go on trips where an electrical source is not available all the time, then the challenge for you is to get batteries with very high amp hour capacities. This will allow you to enjoy your RV for a longer period without having to worry about when to recharge the batteries again. Undercharging and overcharging are two very common cause of battery failure, whether in RVs or other uses. Undercharging happens when batteries are repeatedly discharge but not 100% recharged between each cycle. This causes a problem because it is during the charging process that sulfation is dealt with. If a battery is repeatedly undercharged, the sulfate that’s supposed to be converted back into active material accumulates and ruins the battery over time. The same thing happens when a battery is left discharged for a long period. This is why it’s never advisable to store unused battery fully empty. Overcharging, on the other hand, happens when you leave the battery charged beyond the necessary time for it to be fully charged. It can also happen when you charge the battery at an excessive rate. Both of these can cause premature battery failure. 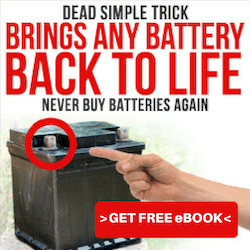 If you are intersted in learning how to charge your RV batteries, then go to this page. Deep cycle batteries used in RVs are designed to last for over five years. They can even last longer if properly maintained. If you want to enjoy your RVs batteries for a very long time, here are some basic care and maintenance tips below. 1: Routine Maintenance. Batteries also need tender love and care. Always check your batteries for loose connections, spills, leaks, and cracks. The sooner you can act against early signs of damage, the higher your chance of saving your batteries. 2: Reduce Depth Of Discharge. i’ve already mentioned that the lead cause of batteries failing is sulfation. This happens when you wait for your battery’s charge to drop to more than half it’s charge before recharging it. If you see to it that you recharge your battery as soon as it’s discharged, you can expect it to last longer. 3: Get Rid Of Parasitic Loads. RVs are especially prone to parasitic loads. These loads can discharge the battery over time without you knowing. Some of these include small items such as stereos, power boosters for your TV, circuit boards inside certain appliances, and even clocks. Make sure you disconnect accessories when they’re not in use. Or, if your vehicle is equipped with a switch that disconnects the battery, see to it that it’s turned off when the RV is not in use. 4: Protect Batteries From High Temperatures. Nothing depletes life from a battery than very high temperatures. Always check the water levels in your battery cells when it’s hot outside. This will help save your lead-acid batteries. 5: Use Only Distilled Water. Regular tap water may contain elements that can be harmful to your battery. Even mineral water is not recommended. When adding water, use only distilled water. This will help prevent sulfation and extend battery life. 6: Charge In Stages. Finally, learn how to charge your batteries in stages. The primary stage would be charging in bulk or until the battery reaches 90%. After that, you can use an absorption charge for the remaining 10%. This will prevent loss of water and gassing. Finally, you can use a float charger for maintaining a full charge. 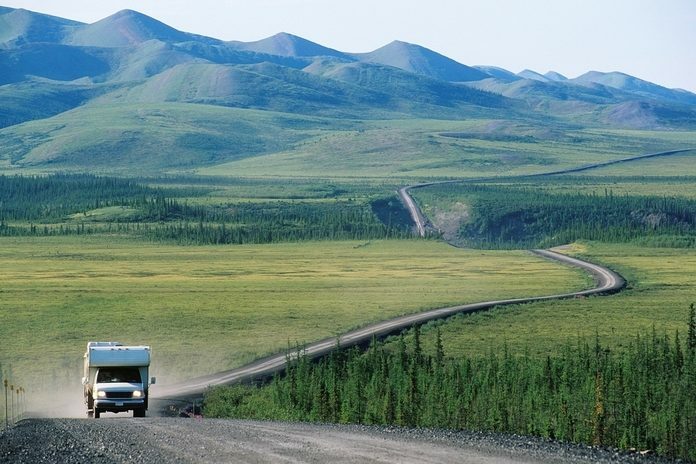 ​Now you know that RV battery life expectancy depends on several different factors. 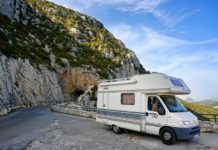 Keep yourself aware of these factors and always apply proper care and maintenance for your RV’s batteries and you’ll enjoy them for many years to come.